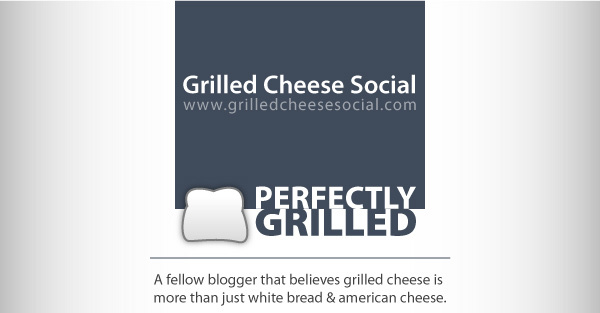 I created this blog to disprove the thought that a grilled cheese must include white bread and american cheese. 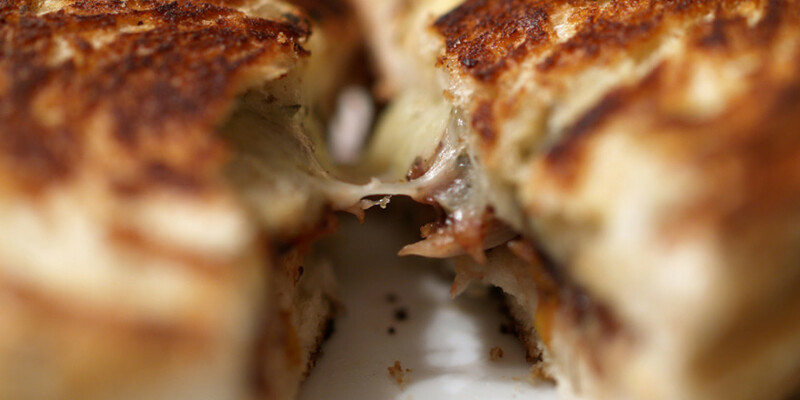 I have continually stuck to that motto as I create new grilled cheese sandwiches each week. Along the road, I have encountered other people, other bloggers, who believe in the same thing and now feel it necessary to feature them right here, with a new feature called: PerfectlyGrilled. I found Grilled Cheese Social via a Google Alert and then when GCS commented on one of my entries. Ever since then, I have tried to visit as much as possible. Grilled Cheese Social does include meat in their grilled cheese sandwiches, which is a great counter to this blog that does not. The photos are fantastic, while the writing has great character with knowledge sprinkled throughout. 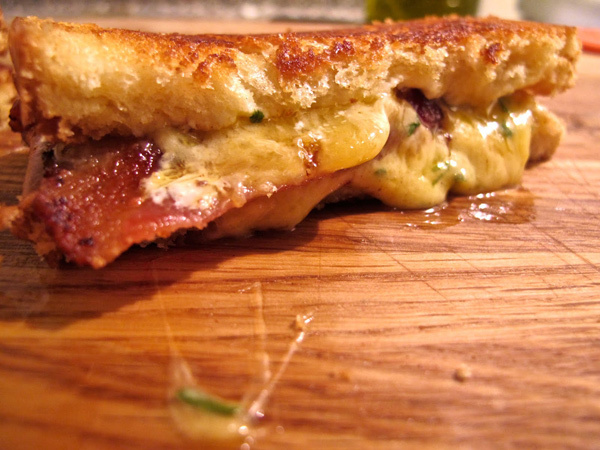 Sure, this sandwich includes bacon, but the idea of a baked potato grilled cheese is so unique that I just had to choose it as my favorite Grilled Cheese Social grilled cheese sandwich. 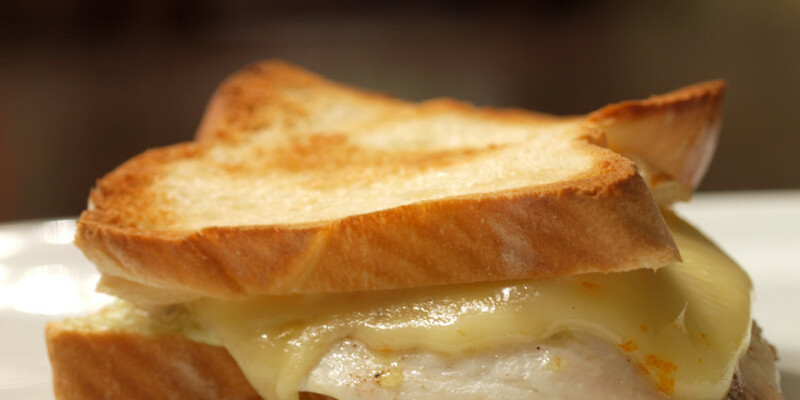 Please, visit Grilled Cheese Social and enjoy some uniquely created grilled cheese sandwiches. And then return for a different perspective on the same sandwich. 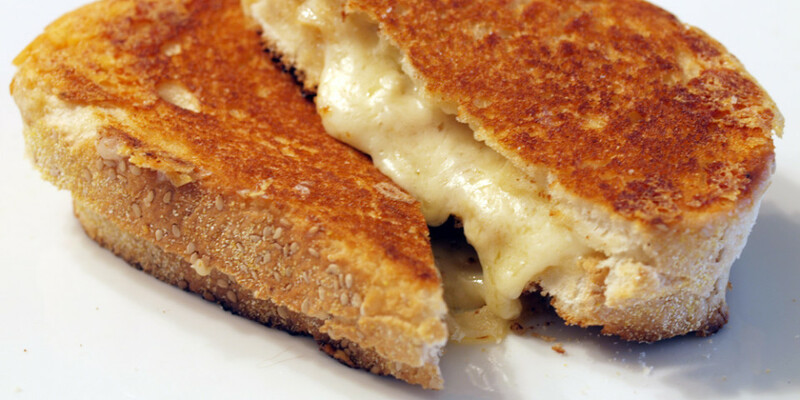 That is what is so amazing about the grilled cheese sandwich: it does not have to be made with only american cheese and processed white bread. Hey Shane!! Thanks for featuring me! You have no idea how much I appreciate it! SOOO AWESOME! Fellow Grilled Cheesers Unite!! By featuring you, I hope more people are aware of your awesomeness! Keep up the great work.